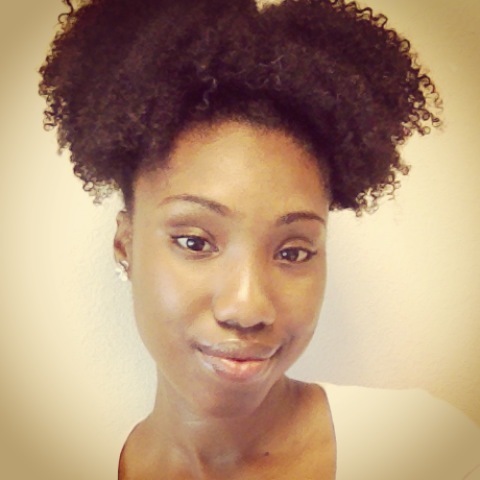 How Wash and Go's Can Damage Your Hair | Natural Hair Rules!!! When we talk about bad hair habits, the discussion is often focused on heat damage. Everyone is afraid of heat and rightfully so. Excessive heat can break down protein bonds, damage the outer cuticle layer, and ultimately cause breakage but what if I told you wash and go’s could be just as damaging? Before when get into it, you may want to check out 7 other Myths about Using Heat on Natural Hair. They may surprise you. Of course, some hair types are more susceptible to this type of damage. Like all warnings, YOU have to be the ultimate judge of what you hair can and cannot handle. I recently came to the conclusion that wash and gos were not for me. I’ve known for a while. Swore them off, then used them when in a rush. Now, I’ve gone cold turkey and my hair is thanking me. Wash and gos are notorious for excessive tangling and (ultimately) breakage. When natural hair is worn in a wash and go, its usually shrunken — a breeding ground for tangling. When natural hair is worn in more stretched styles like twist-outs or braid-outs, it allows the hair to stretch, ends can be sealed and you can prevent them from “co-mingling”. If you decide to wear a wash and go, take extra care to use a lot of conditioner and avoid disturbing the curl pattern while it dries. Because wash and gos can cause excessive tangling, it is important to exercise patience during the detangling process. Excessive Tangling and Breakage could be the key thing Keeping You From Growing Longer Hair. Where there is tangling, single strand knots are never too far behind. When the ends of the hair are out freely, you run the risk of single strand knots. Sealing the ends with oils and butters usually reduce the number of single strand knots, but wash and go styles leave the hair susceptible to SSKs. When wearing a wash and go, don’t skimp on the conditioner. It will help to reduce knotting. Tangled hair requires [drum roll, please] more detangling — thus requiring more time spent detangling and a greater opportunity for mechanical damage. More friction equals more damage. More tangles equals more frustration. (It’s not a good combination). As you comb your hair, you can damage the cuticle. The need for additional detangling gives you more opportunity to damage the hair. When detangling hair that was worn as a wash and go, it is important to set aside time to detangle the hair properly. Part into smaller sections and take your time, combing from end to root with lots of slip. For all of these aforementioned reasons, I have sworn off wash and gos — except in emergencies. I.e. failed twist outs or matted hair that needs to be refreshed quickly but for the most part, I don’t plan on doing wash and gos in 2015. If you decide to wear a wash and go, keep in the mind the tips listed above. What are your tips for wearing a wash and go? Have they damaged your hair or are they your go to style? When doing washngo, what is the best utensil to use in the detangling process besides wide tooth comb and/or wet brush?